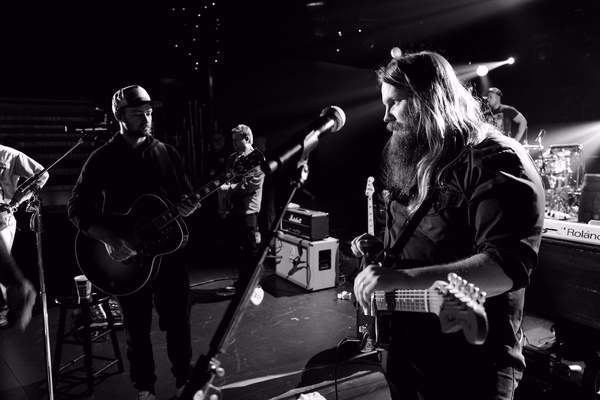 Everyone's talking about it......Just released - JT is set to collaborate Chris Stapleton at “The 49th Annual CMA Awards”! Don't miss it! Celebrating his first nominations, Stapleton is a contender in three CMA Awards categories: Male Vocalist, New Artist, and Album of the Year for Traveller, which he co-produced with Dave Cobb. Hosted by Brad Paisley and Carrie Underwood, “The 49th Annual CMA Awards” airs live. The lineup includes performances from Brett Eldredge, Kip Moore, Chris Young, as well as 2015 CMA nominees Kelsea Ballerini, Kacey Musgraves, Thomas Rhett, Carrie Underwood, and more. The CMAs will broacast LIVE WEDNESDAY, NOVEMBER 4 (8:00-11:00 p.m., ET) from the Bridgestone Arena in Nashville. CHRIS STAPLETON really great and strong man! I've seen the show and it was awesome ! I hope I can make it and stay up.lol been stayin up late and it's catching up to me.lol but I'm excited to see him on stage again even if I'm not sitting in front of him. No matter what the genre, to hear & see you perform is a trip-- every time! Yass!!! Please!!! We can't wait!!! SO excited!! !